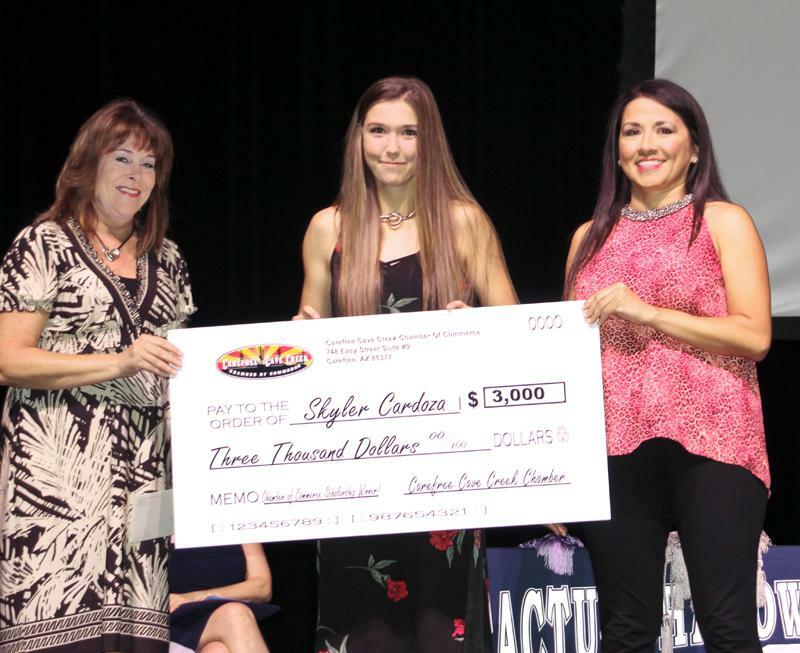 The Carefree Cave Creek Chamber of Commerce Intern Scholarship was created in 2010 with a start-up goal of awarding a $2500 scholarship. In consequent years the amount of the scholarship increased to $3000. In 2017 we re-named the scholarship to CTE Achievement Scholarship. Members of the Carefree Chamber of Commerce have raised these funds by selling raffle tickets. The first couple of years we sold 500 tickets for $10 per ticket. The raffle is a 50/50, meaning that we give half of the money raised for the scholarship and the other half of the money raised is awarded to the winning ticket that was drawn from the raffle tickets sold. In 2013 we raised the ticket sales to 600 tickets. Most of our scholarship winners have gone on to university graduating with degrees in Business Administration, Mathematical Engineering, Supply Chain Demand and Finance to name a few. We rely on people like yourselves to help us by buying a raffle ticket. Remember, by buying a raffle ticket you are entered into the 50/50 raffle with the possibility of winning $3000 (1:600 chance). 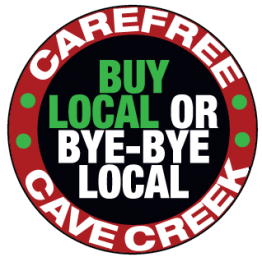 The Carefree Cave Creek Chamber of Commerce is committed to education and the continuance of our scholarship for eternity. 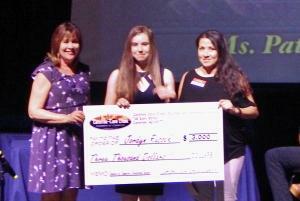 Saying this, we will be launching our endowment for the CTE Achievement Scholarship soon in the amount of $10,000. Our hopes are that people will consider bequeathing and donating money to our endowment fund. Congratulations to our 2017 Scholarship Winner: Skyler Cardoza! Listen to Rose Capin (2016 graduate & Scholarship Winner) describe her experiences with the CTE Internship Program. Listen to Ryan DiCicco (2011 graduate & Scholarship Winner) describe his experiences with the CTE Internship Program.